As a native Floridian, I’m often asked where my favorite beach is. Having grown up along the Gulf Coast, it’s easy for me to ramble off any of the beaches here— really, they’re all beautiful. But if I had to choose one that my husband, Rick, and I seem to return to again and again, it’s Clearwater Beach. 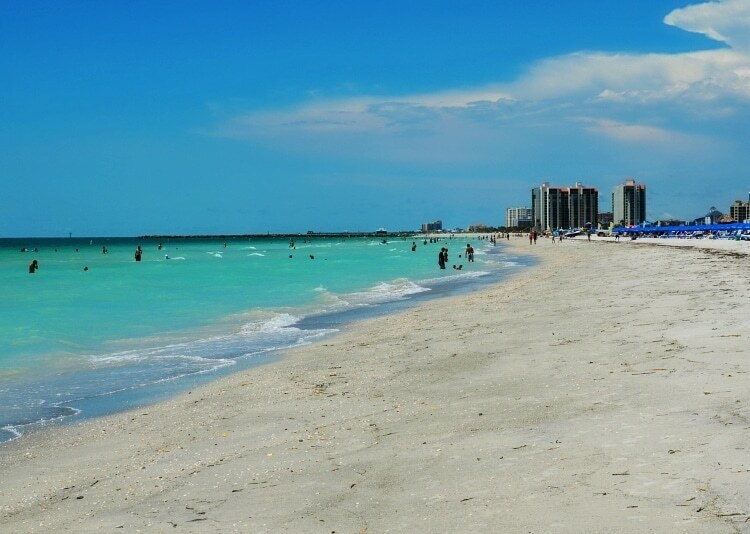 We love Clearwater Beach because it has a great mix of attractions, restaurants and of course, white sand beaches. It may be a bit touristy for some locals, but that’s one of the reasons we like it so much— we feel like we’re actually far away from home, when the reality is that we’re just an 1 ½ hour away. My daughter turned 10-years-old last month and one of her requests, instead of having a party, was a weekend at the beach. 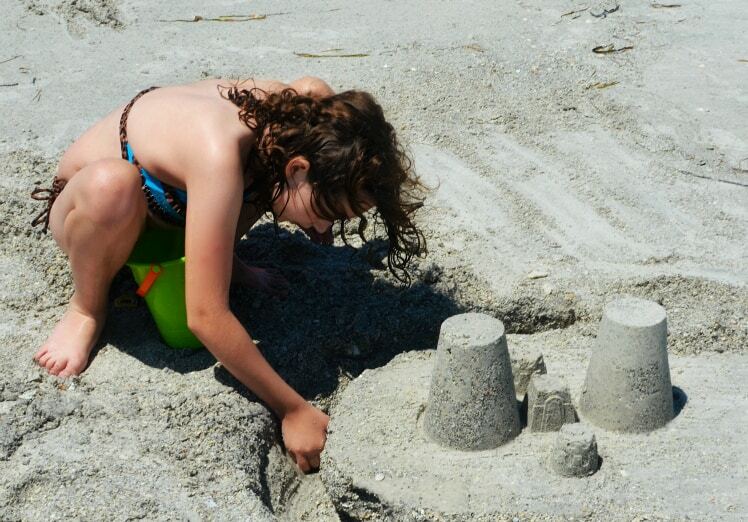 I was already in contact with the Sheraton Sand Key Resort, so that timing was perfect to combine a family beach getaway with a birthday stay. This was our first time staying at the Sheraton Sand Key Resort, a Starwood Hotel, which is located right next to Sand Key Park — a preserved area with outdoor activities that’s perfect for families. Because of the locale, the resort feels a bit more secluded, giving guests the benefit of a quiet stay within close proximity to all of the area attractions. After checking in, we proceeded to our traditional 2-Queen room with a fantastic view of the beach/pool. The view kind of set us up for a great weekend because we immediately got excited about all of the amenities. 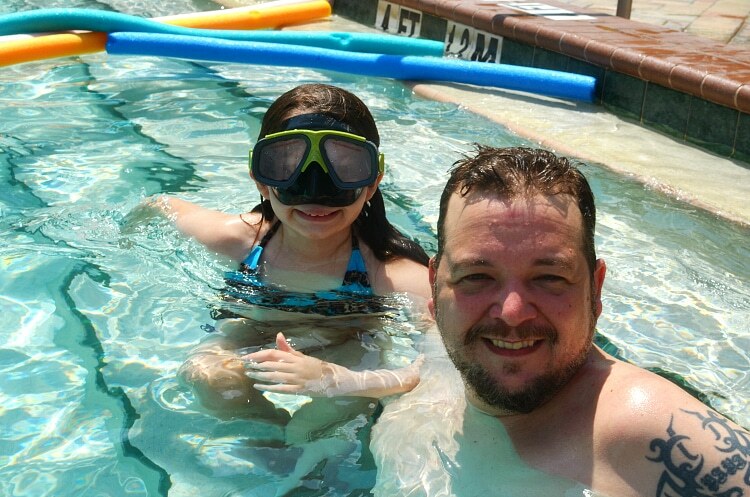 My daughter and I decided to take a quick tour of the property to see what fun could be had— she was very eager to check out the pool area and beach. 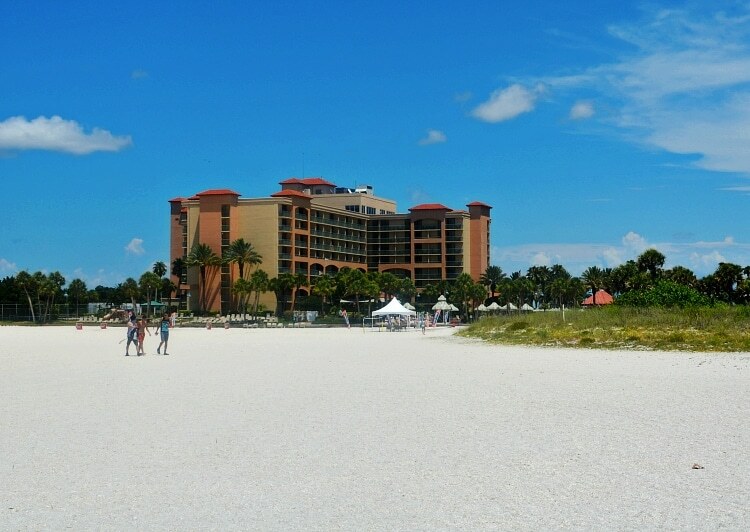 Unlike some of the other area resorts, the beach at Sheraton Sand Key is semi-private, and a bit further from the property. This is partly due to Sand Key Park that borders the resort. I had no problem making the trek out to the beach, but it’s something to take note of. My daughter didn’t seem to mind the walk because she stopped to pick up shells along the way. We made plans to celebrate my daughter’s birthday with family who live in the area at Frenchy’s Rockaway Grill, which is just a few short miles down the road. The convenience of the Sheraton Sand Key Resort is really great; everything you could want/need is just minutes away by car or trolley. 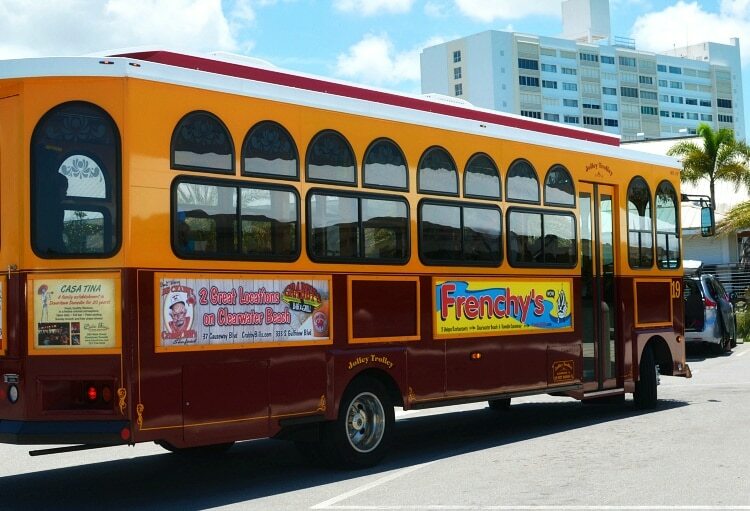 Speaking of the trolley, or the Jolley Trolley as it’s called, there’s a pickup spot right at the resort, making it extremely easy for guests to take into Clearwater Beach (and beyond!). The fare is only $4.50 for a 1-day unlimited ride pass. We had planned on taking the Jolley Trolley from the resort to the Clearwater Marine Aquarium, but opted to take our own vehicle at the last minute. 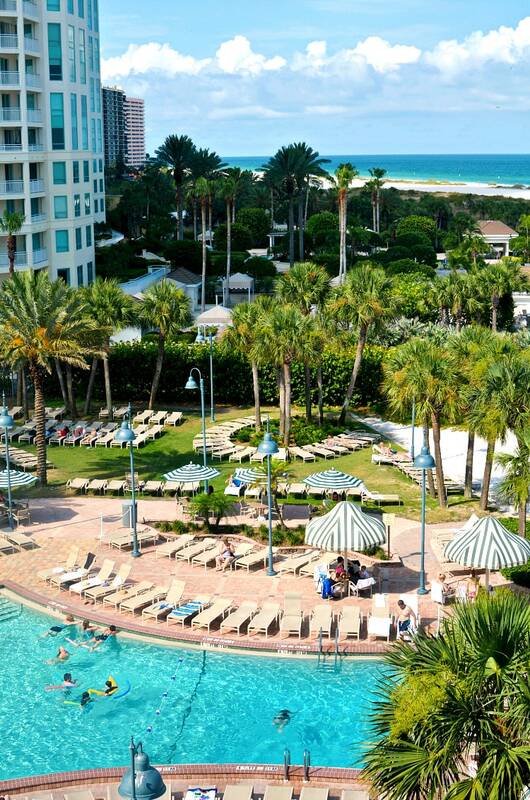 One of the perks of staying at the Sheraton Sand Key Resort is free parking, a rarity in Clearwater Beach. 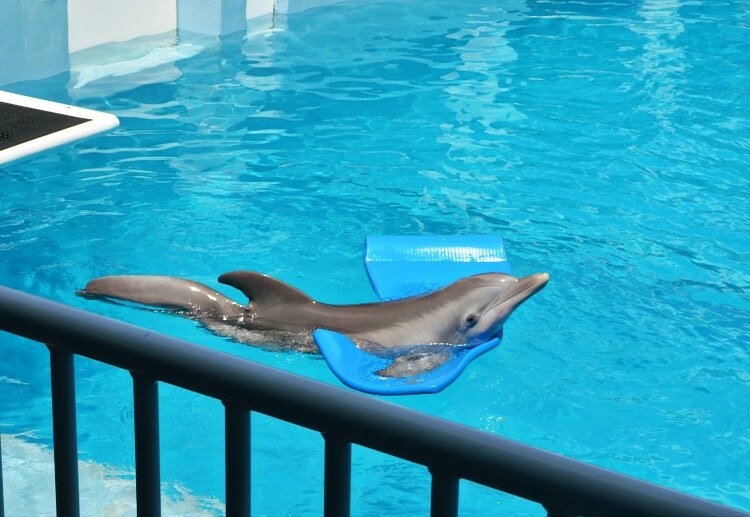 The Clearwater Marine Aquarium is home to Winter, the dolphin that inspired the movie Dolphin Tale. We received complimentary tickets to the aquarium, so we spent the morning checking out the marine-life there, and then took the trolley to the Winter’s Dolphin Tale Adventure attraction. We decided to eat lunch at the resort before spending the rest of the afternoon at the beach. The Poolside Café was perfect for a quick bite, though the portions were much larger than we expected (always a good thing!). My husband and daughter shared a plate of nachos, and I had chicken quesadillas. Everything was yum! After, we hit the beach for a few hours of sun and fun— it didn’t disappoint. After a few hours of rest, we decided to have dinner at Rusty’s Bistro at Sheraton Sand Key Resort. We weren’t super hungry because we had a late lunch, but the Shrimp Po’ Boy special was calling our name. We ordered two to split between the three of us and were completely satisfied. I only wished we were there on Friday night for the Prime Rib Buffet … I would have made room! The next morning was my daughter’s 10th birthday. We didn’t make any plans as we just wanted to go with the flow, but were hinted to that we should have breakfast at Rusty’s. The food was really great, my daughter and I split a huge three-egg omelet with cheese, bacon and mushrooms, and Rick had eggs benedict. After we finished, we heard some commotion and before we knew it, all the restaurant staff and guests were singing “Happy Birthday” to my daughter. 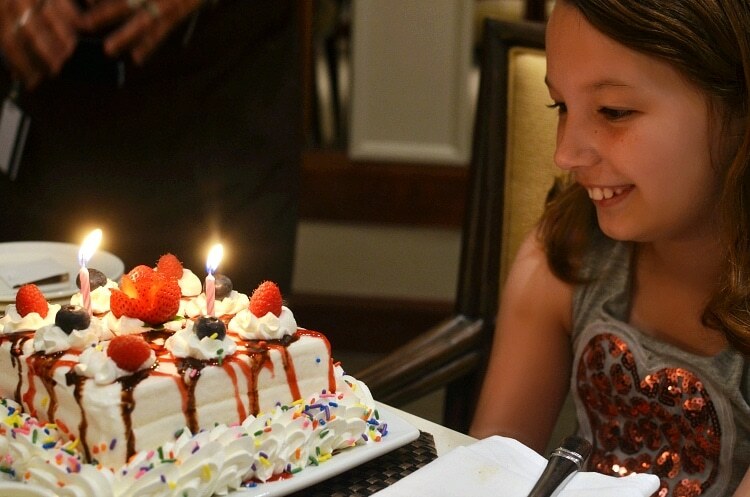 They brought out a huge cake with candles, too— she was both embarrassed and excited. I could tell it was the highlight of her day! The Sheraton Sand Key Resort was truly wonderful all around. I loved the location, comfy room, food, amenities and the staff was beyond fabulous. They really went out of their way to make the stay special for us and I already foresee a return. Special thanks to the Sheraton Sand Key Resort for hosting our stay. All opinions are my own.